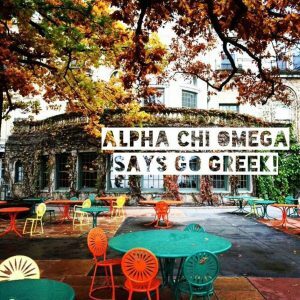 A great way to expand your social circle and enjoy living in one of the gorgeous mansions on Langdon Street is joining Greek Life at UW-Madison. As an incoming freshman in a class of about 30,000 undergraduates, it can be pretty overwhelming to think about making new friends. Whether you are the sole representative from your high school or there are many people you know joining you on campus, adjusting to college life is not always a breeze. At UW-Madison, sorority recruitment begins the first week of school. While this may seem like a lot to handle in the beginning of the school year, after the process is over it immediately gives you a friend group. As you find your perfect fit in a certain sorority, you can begin to bond with girls who share similar values, interests and academic goals as you. Within each sorority and fraternity there is an executive board comprising of positions such as president, vice president, treasurer, philanthropy, etc. Having a position on a board helps strengthen leadership skills as you learn to collaborate and organize events for large groups of people, and it’s a great addition on any resume. When you join a Greek organization, you not only join for four years but for life. As cliché as that may sound, a membership is something that can help secure a job down the line, and will give you many connections. It allows you to be a part of a bigger community than just your chapter on campus, and may have an impact in who you meet in the future or a professional career. 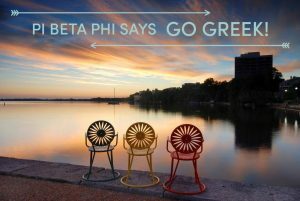 To find more information about joining a sorority on the UW-Madison campus, click here. For fraternity recruitment information, click here.